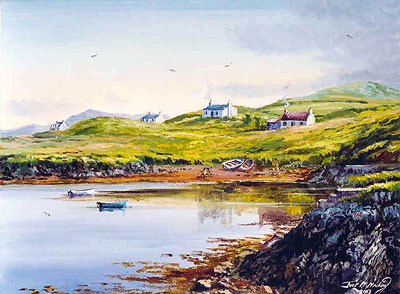 This peaceful Summer scene shows the sleepy, lush crofting village of Lemreway, South Lochs, Lewis. It is evening and the light is golden. The peat fires in the cottages are burning as their fishermen reflect on a day’s fishing.